A 501C3 corporation with the mission of bringing classical and under-produced works of theatre to Northeastern Pennsylvania. 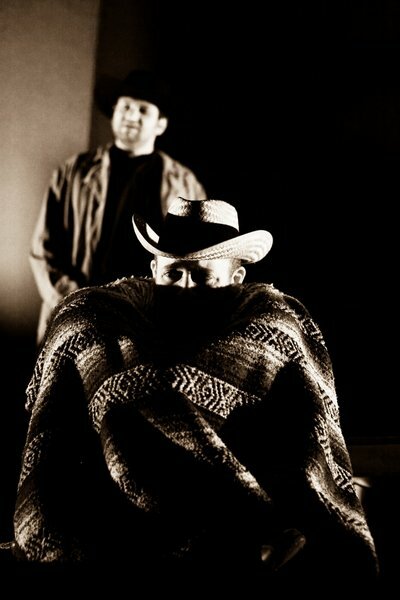 Since it’s inception in 2003, Gaslight has produced over fourteen plays and various events. In 2005, Gaslight won Best Play at the Pennsylvania Association of Community Theatres Festival for our production of Eugene O’Neill’s A Moon For The Misbegotten. We also received top honors of Best Play at the Eastern States Theatre Association Festival for the same production. Served as Academic Advisor to all Design/Tech Track Theatre students. *Served as faculty mentor to all design/technical track students in the theatre department.Participated in guided hands on learning in all fields of design and production. *Served as faculty mentor to directing student during production of Richard III..
Senior Capstone: A required Theatre Course. 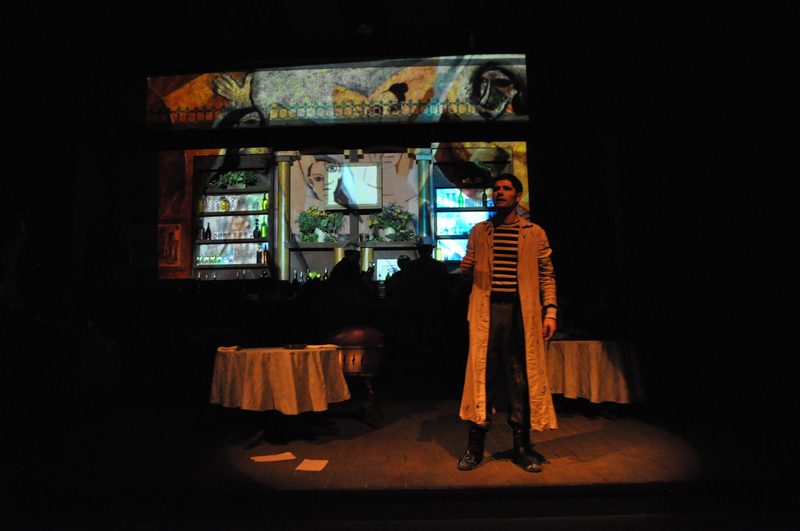 The capstone project serves as the culminating project for a Senior Theatre major. Students outline the specifics of the project and faculty serves as director mentors, monitors, and critics of the work. The Films of Stanley Kubrick: A Core class that serves as an introduction to the study of film. Specific attention is placed on various film techniques such as cinematography, editing, design, etc. Students learn the basics of narrative structure and the value of interpretation, through critical analysis of the Kubrick's films. The Films of the Coen Brothers: A Core class that serves as an introduction to the study of film. Specific attention is placed on various film techniques such as cinematography, editing, design, etc. Students learn the basics of narrative structure and the value of interpretation, through critical analysis of the Coen Brothers films. Musical Theatre: Then & Now: A CORE Arts course. Students will learn the history of musical theatre, tracing its roots to Ancient Greece and paying particular attention to the American Musical Comedy. Introduction to Theatrical Design: A required Theatre Course. 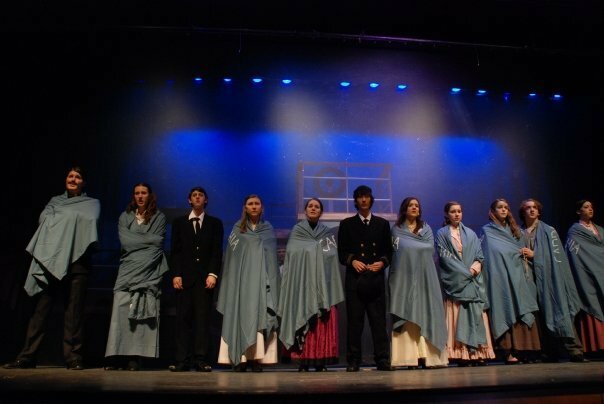 Students learn to appreciate and understand the role of theatrical designers including: scenic, lighting, costume, sound, video, etc. Students will learn the history of design and technical theatre and will see how the work of the past informs the present. Stage Management: A required Theatre course. 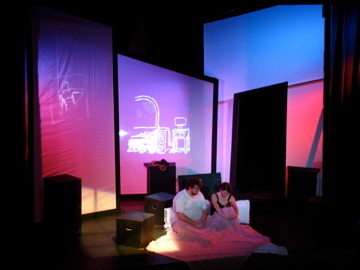 Students learn the techniques, terminology and practical application of stage management. Through a series of lecture based, hands-on, and practical activities, students gain real-world knowledge of working as stage managers in the modern theatre. Scene Painting: A Theatre Elective. 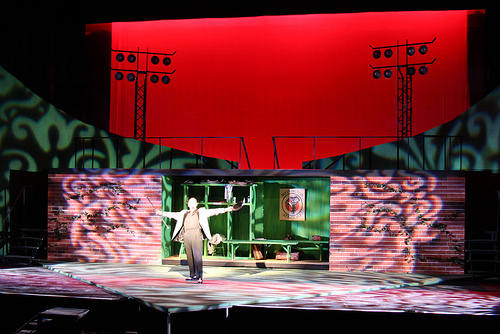 Students learn techniques, terminology, and practical application of scenic art, through a variety of hands on activities and work on main stage productions. Play Analysis : A required Theatre course. Studies are taught the value and necessity of analyzing play scripts. A specific format is used and each student creates their own analysis for 7-8 scripts. Film Studies: A Core class that serves as an introduction to the study of film. Specific attention is placed on various film techniques such as cinematography, editing, design, etc. Students learn the basics of narrative structure and the value of interpretation. Lighting Design: A required Theatre course. 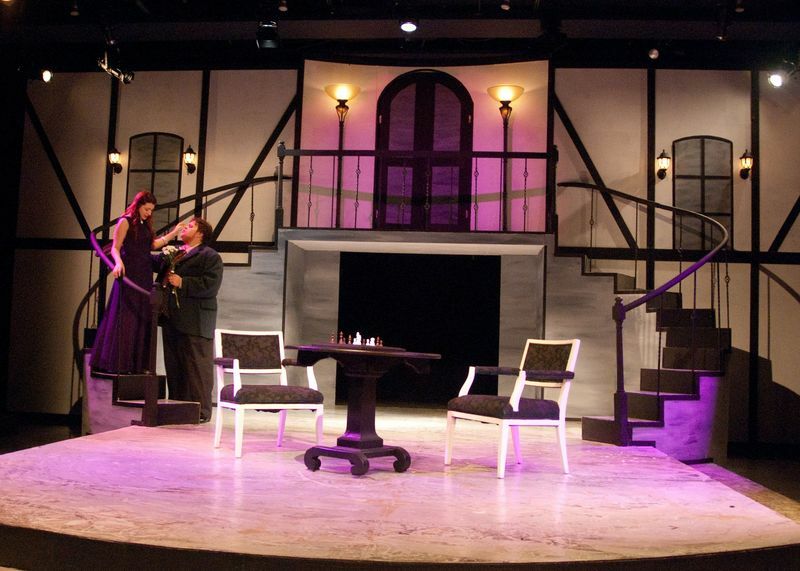 Students learn the conceptual aspects of lighting design through script analysis, study of design and designers, and hands on work on major productions. The conceptual design becomes reality through collaboration and implementation. Scenic Design: A required Theatre course. Students learn both the practical and conceptual elements of scenic design, creating design packets (hand drafted and Vectorworks), renderings, models, and research bibles. Stagecraft: A required Theatre course. The foundational basics of technical theatre are explored. Students learn basic stage carpentry, rigging, propcraft, etc. First Year Experience (FYE): A required course for all first year students. The primary objective of FYE is to create an environment for the discussion of issues associated with being new to college. Topics include; diversity, alcohol awareness, Catholic identity, academic integrity, ETC. Technical Theater Production: A requirement class of the theater department. The primary objective of this course was to introduce theater majors to the concepts and practices of technical theater. This was a lecture/projects based class with 30+ students per section.Technical Theater Production Lab: A requirement of the theater department. The primary objective of this course was to serve as a hands-on extension of the lecture portion of the class. Students learned the proper use of tools and scene shop etiquette, as well as specialized skills, such as lighting, sound, properties. Developed and implemented an introductory theatre course for students ages 8 - 15. The program is a two week workshop in which we discuss the following topics: structure of theatre, careers in theatre, acting, improvisation, creating a character, developing an aesthetic sense, developing a script, designing a production. The two week workshop culminates in a production that is entirely created by students, with my guidance. I did my student teaching in a first grade classroom in the Wyoming Valley West School District. I implemented lesson plans within the structure of the Pennsylvania State Standards of Education. Both faculty and student evaluations are available upon request. *Attendance at all Faculty College Events, IE: Honors Convocations, Convocation Masses, Baccalaureate Masses, Commencements, All Faculty Meetings, Etc. *Implemented weekly production meetings for each mainstage production. All crew heads meet weekly to discuss their progress and needs. This has made for communication across the departments and has given the students a greater sense of ownership of the productions. *Functioned as production manager, making sure all departments were communicating, all deadlines were met, and helping to facilitate discussion across the production departments. *Developed and implemented a Master Production Calendar for the Theatre Department. This calendar utilizes Google Calendar and is accessible by the entire faculty, staff, and student body of the department. This has made for more open communication and transparency within the department. *Implemented a modern use technical rehearsal schedule including dry techs, cue to cue's, and dress runs over the course of the tech weekend. *Trained/Mentored stage managers in the new tech schedule and the full capacity of their jobs, including rehearsal reports, running production meetings, and calling all cues during a show. *Select plays for performance by season and secure performance rights. *Conceived and implemented end of semester reviews for all theatre majors and minors. *Proposed and purchased new lighting equipment, new sound equipment, new tools for the scene shop, etc. *Designed and built a weapons storage (armory) space at the theatre. *Served as department liaison to CIS department senior level project to develop box office software for use by the department.